It’s inevitable that your computer will slow down as you add and remove programs and data. In addition to tuning up your PC or Laptop we will also run a basic series of diagnostics to verify that your resources like RAM Memory and Processor are not overloaded for your current usage style. When you first get your computer it’s (usually) nice and fast. As you add new programs to perform various activities on your computer such as: Word Processing, Photo Editing, Video Editing, Music Listening and Editing, Antivirus Protection and whatever else you can think of, your system registry is changed to allow programs to start up when you boot your computer and to run in the background of your Operating System. When this happens to your computer, it can take up valuable resources such as memory and processor allocation. If these resources are jammed up by too many programs it will slow down your computer’s boot process and response time while you are using it. If your resources are perfectly fine and your computer is still running slow, this may be a sign of other issues or problems with your hardware or software. One possible cause is a failing hard drive, either your primary hard drive or even an external backup drive can cause your computer to hang or tell you that a program is “not responding”. 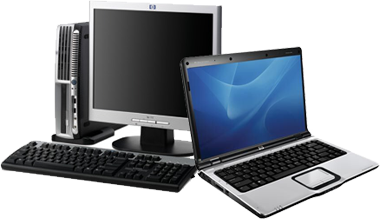 We will gladly diagnose your computer’s hardware and software and repair your computer at an affordable price. We don’t rack up your computer repair bill beyond what is reasonable time and expertise. We take the shortest and most affordable path to repair to take it easy on your pocket book.